Fan Bingbing: Has China's most famous actress been disappeared? 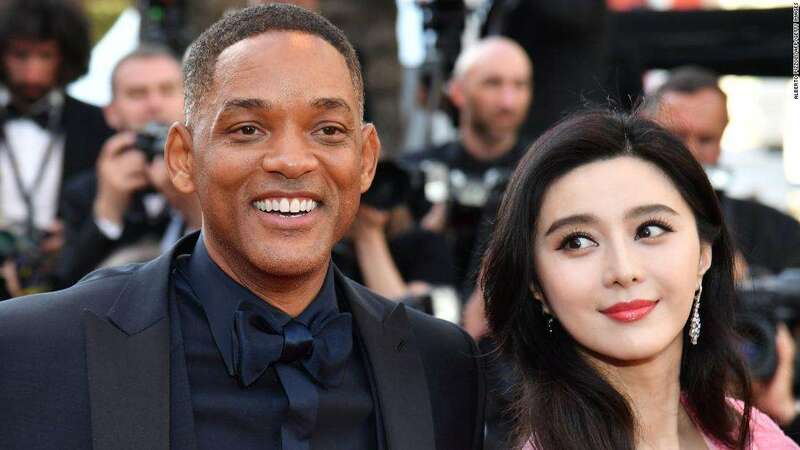 US actor Will Smith (L) and Chinese actress Fan Bingbing pose as they arrive on May 23, 2017 at the Cannes Film Festival in France. In September, China's Peking University released a report, lauded as the first "in the world" and heavily promoted in Chinese state media, which ranked the country's stars by their level of "social responsibility." Fan was ranked last, with a score of 0 out of 100. But while cracking down on them might solve other problems, she said it wouldn't help address the fundamental lack of talent across the Chinese film and television industries. Combined with strict ideological control, such measures act only to create a "sad situation" in China's creative industry, she said. The Communist Party's leadership may hope that by shining a light on celebrity tax avoidance, it could deflect attention and avoid closer public scrutiny of the rumored corruption among op government officials and their families, Landreth told CNN. But Ryan said one would never choose a cause, or take up a fight that was ahead of what the Communist Party was comfortable with, especially if it opposed current government policy. CNN's Serenitie Wang contributed to this report. World - U.S. Daily News: Fan Bingbing: Has China's most famous actress been disappeared?